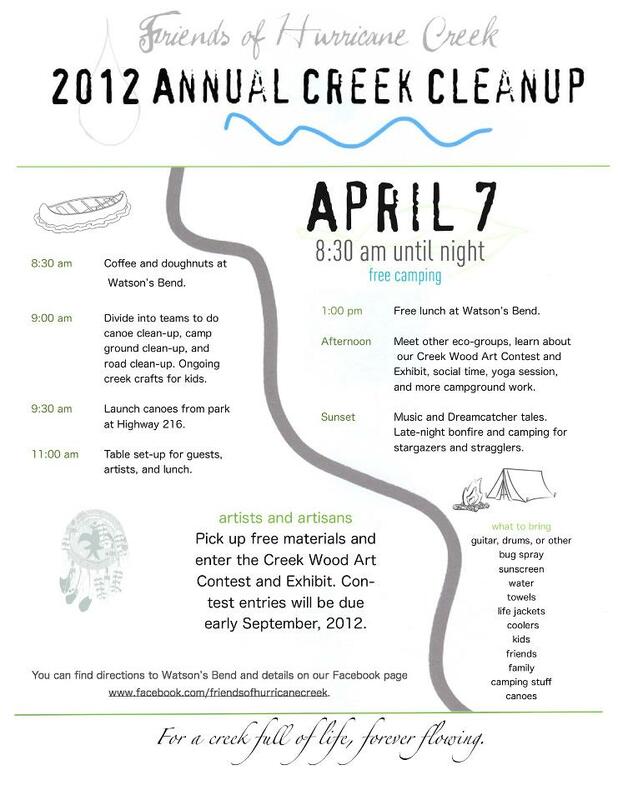 ANNUAL CREEK CLEAN-UP ON APRIL 7TH, 2012. 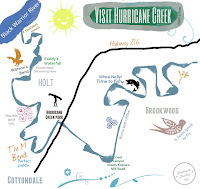 To find out where to go, see the schedule above. 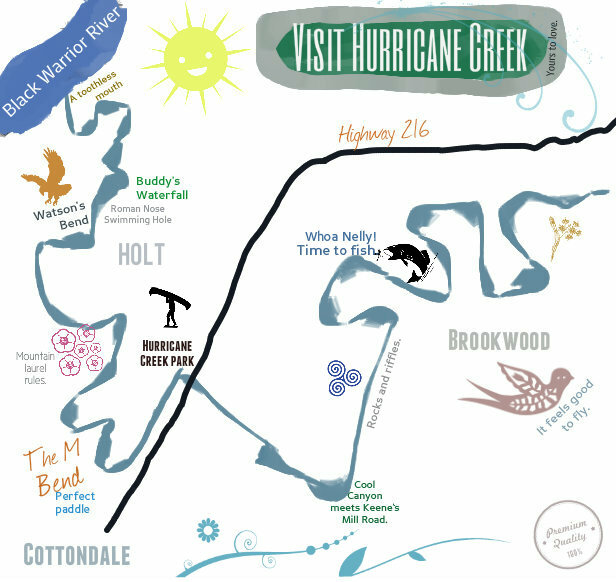 To find out how to get there, see the FOHC map, which includes driving directions to Hurricane Creek Park and Watson's Bend.